It occurred to me during the drive up to Wales with Donna for another walking/camping trip that, while there are loads of outdoor blogs and numerous clothing and kit reviews, there are precious few decent reviews of women's outdoor kit and clothing. It's not just a lack of the general product info from a users point of view rather than the manufacturers but it's the size and fit information that is probably more important to women than men for a number of reasons. Now this is probably due to the fact that the majority of the outdoor blogs are written by men and they don't have access to (or the need for) women's clothing or kit - and neither do I before questions start getting asked - but my other half, Donna, is just as keen out the outdoors as I am and as my walking and camping partner has just as much outdoor clothing and kit as I do. 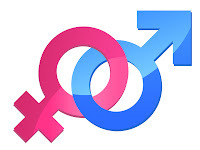 So I've decided that as well as reviewing the kit and clothing that I use and love (or hate) during my time outdoors I will also add in the reviews (from Donna's point of view) of the women's kit that Donna uses and buys - hopefully this will be of use to people and I'd be interested to hear from readers on this - especially if there are elements that you'd like covered that I have missed. A few notes on Donna! So, on to the new stuff! So rather than full reviews (which will come after we've had a proper chance to use and abuse the new kit during our Canada holiday in September '12) the below write-up's are more initial views but hopefully will be helpful if you happen to be looking at these products specifically or the general type of products that they fall in to. My trusty Meindl Burma Pro MFS boots finally gave up the ghost on the wet, muddy walk to Moel Hebog. Water had started to leak into the boot and I didn't fancy the prospect of wet feet for 2 weeks in Canada with no real way of drying them out properly in the tent. The boots have done me well; they're over 5 years old now and although they've had a slight sole repair by Meindl they've done me proud and coped with pretty much everything that I've thrown at them and have been one of the most comfortable pairs of boots that I've had the pleasure of wearing. 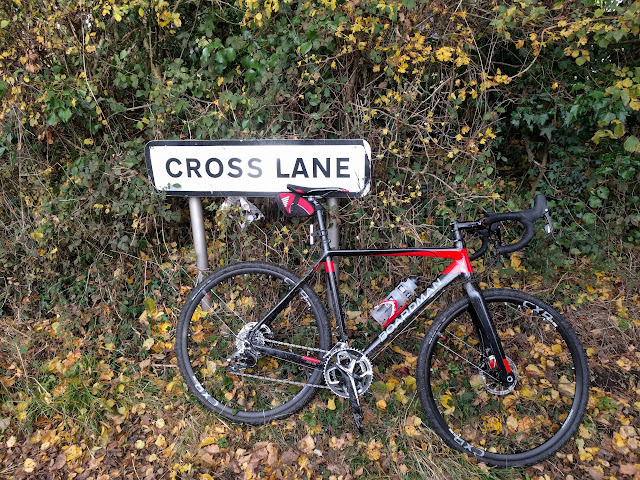 1) my toes hit the end of the boot on long, rocky, descents. Yes this could be down to lacing the boot and initial fit but I'm fairly happy with the way I lace boots and also with the general fit - this was just one of those things that I accepted, but would like to eradicate on the next boot. 2) the rand around the boot wasn't high enough to protect the boot on scrambles - OK, so the Burma's are not designed as scrambling/technical boots I know but more and more this type of terrain is encountered during decent high level walks in Scotland and North Wales and my Burma's had started to show more than their fair share of battle scars from the sharp rocks covering the likes of Cadair and Scafell. So when talking through boot choices in Cotswold (at this point I'd like to say that the two guys I spoke to in the Betws-y-Code branch were both very knowledgeable and helpful) the above, along with a decent full leather boot, made up my list of requirements for a boot. For some the Manta may seem a little too much for an all-year, all-round boot as their B2 crampon rating means that some people (wrongly) pigeon hole them as a winter only/alpine boot but I like the feeling of a solid boot and the fact that they will cope with wet boggy ground, rocks and a decent fall of snow. 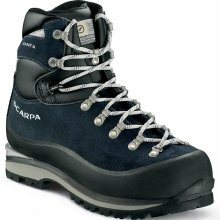 It gives me another choice of boot in the winter when it's not quite harsh enough to roll out the Sportiva Nepal's and it also means that if we're out in the snow and need to put on the crampon's, I can, without needing to change boots - something that wasn't possible with the Burma's. For summer walking (on the rare occasion that we get a summer in the UK) I'll be wearing my Meindl Air Revolution 3.1's which are nice and lightweight and have a GoreTex lining "just in case". Which brings me nicely to the final point on the Scarpa's - no GoreTex lining.... on the downside it means you need to keep treating these boots with wax (something that I'm fairly religious about so no problem there) but the full rand and thick leather should see that your feet keep dry. On the up-side the lack of GTX liner can mean that your feet don't "bake" as quickly and easily as they can with a full GTX liner - I certainly didn't suffer from cold feet in my Bruma's! Donna's been on the look out for a synthetic jacket for some time now and she wanted to get something in time for the Canada trip in September. The Montane Prism jacket that I have as my synthetic layer (I will get around to a review on this soon as it has proved it's worth time and time again) is an item of clothing that I always pack, in a stuff sack at the bottom of my bag, on pretty much any walk and I've been on at Donna to get something similar as down jackets cannot be relied upon in our wonderful British (read, rainy) climate. 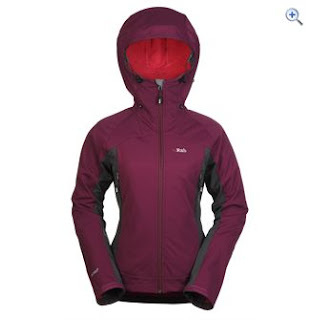 She'd pretty much settled on the womens Rab Generator but had to order the jacket in 2 different sizes due to lack of review information on-line around the fit of the jacket (this is where the idea for more reviews of womens (Donna's) clothes came from). 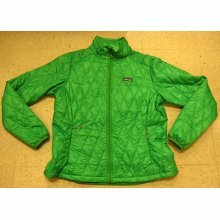 However, Cotswold in Betws-y-Coed had a Patagonia Nano Puff that Donna tried on and, luckily, happened to be in the sale! The fit is good (size L or 14) and is roomy enough to go over a few outer layers - jackets like this really come into their own on wet windy days when you need them as a final layer over everything else to keep in the hear (and generate more), perfect for lunch stops on the hills when its too wet to risk a down jacket. With 60g of PrimaLoft One contained within a rip-stop polyester outer that has been treated with a DWR finish the jacket has a claimed weight of a shade under 300g and Patagonia mark it as regular fit. Certainly it fits well (Donna is usually a UK size 12 and selected a size larger than usual to ensure fit over layers - the size M/12 would have been an ideal fit if used as a mid layer) and on initial test generates heat well - OK so it has only really been worn around the house and on a short walk but the potential is there and I'll update this with a more in-depth review after Canada. I think that Donna has joined me in the "as many jackets as you can fit in the wardrobe" quest but this is certainly an addition that I can vouch for, and recommend highly - my own Rab Baltoro jacket has accompanied me on many of our trips and camps (initial review blog here). Rab's website (here) gives a weight of 575g and the numerous features include a helmet compatible hood, twin zipped chest pockets and Polartec PowerShield fabric which provides great insulation and breathability as well as good wind and water resistance. The fit is good (size 12) and Donna certainly looks more comfortable in this when compared to the equivalent Marmot (Vapour Trail) and Mountain Equipment (Astral) jackets that she tried on. As with the other two "initial test" items above a proper write up will be possible after our Canada trip as this will give us both a chance to thoroughly test all the kit we take!